Gigi's Kitchen - My Blog on Cooking, Makeup, Fashion, Crafts and More: Beauty Tip of The Week: Eyebrows- Where Should They Begin, Arch and Finish? Beauty Tip of The Week: Eyebrows- Where Should They Begin, Arch and Finish? 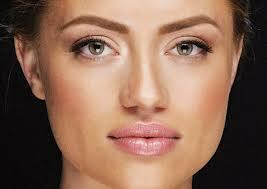 When a woman has perfectly shaped brows, she can look put together even without any makeup on. This is why I think brow-shaping should be the one weekly beauty routine that is never skipped. Eyebrows really do frame the face and give it definition. Also, embrace your natural brow shape, because no matter how much you tweeze, you cannot turn them into something they are not. This weeks beauty tip will help you figure out where the eyebrows should begin, arch and end by following an easy 3 point system. Check back for next weeks tip which will include some easy tricks for tweezing and upkeeping your brows shape. 1) Mark your starting point: hold a pencil or handle of an eye makeup brush vertically along the side of your nose resting it in the nook where your nostril begins and notice where it meets the brows. That is where your brow should begin. Keep in mind that the space between your brows should be equal to, or a little wider than, your eyes. 2) Then mark the peak of your arch, hold the tool against your nostril tilting it diagonally towards the center of your pupil. The best brows have a slight arch. Notice where the tip meets the brow. This is the best place for the peak of your arch/ highest part of your brow to be. 3) Now mark the tail, place the tool against your nostril and extend it diagonally to the outer corner of your eye. Where it meets the brow is the best place for your brow to end. I hope this tip will be extremely useful to you in regards to learning about the shape of your brows! Hope you are all having a fantastic start to your week!